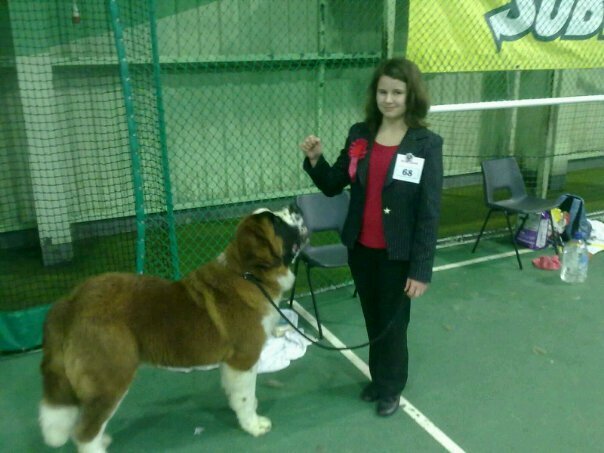 here is sophie and barney at there first show today! dont they look great together!!!! She turned 13 on valentines day! we watched Sophie in the ring yesterday and she was fabulous - very calm and collected, took control of the dog (dog behaved very well anyway) and really did herself proud! Wonderful to hear Ali, I expected no less!!! They have worked very hard to get ready! Kathy..... It appears a few people didn't "click" as Barney isn't smooth!!! !